Don't let your preschool child's knowledge dry up over summer break! Prevent summer learning loss in just 15 minutes a day. 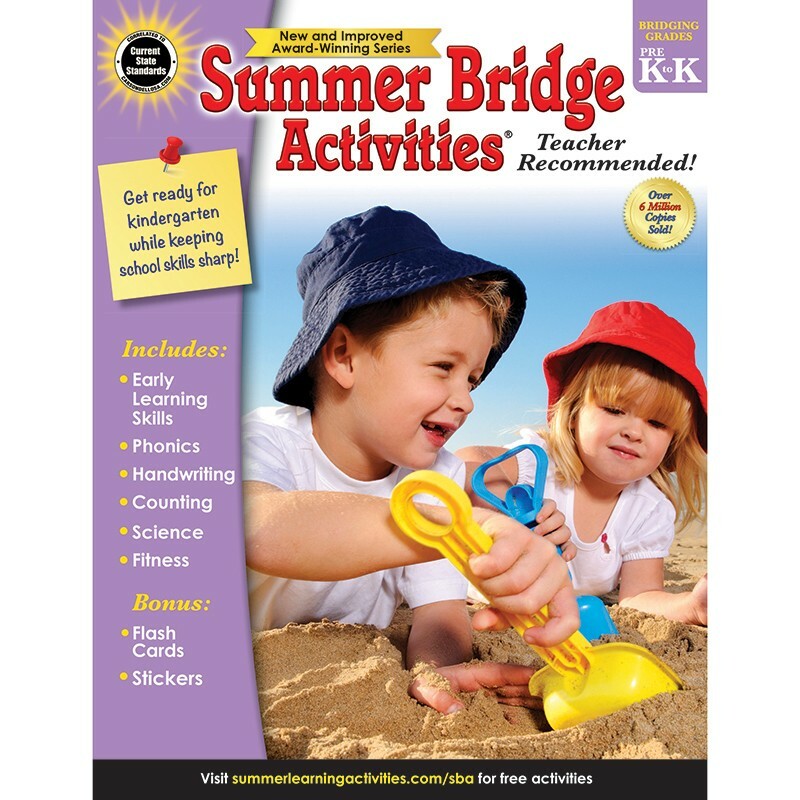 Perfect for at home or on-the-go, Summer Bridge Activities®: Bridging Grades PreK-K keeps kids busy with interesting learning activities all summer long! Give your soon-to-be kindergartener a head start on their upcoming school year with Summer Bridge Activities: Bridging Grades PreK-K. With daily, 15-minute exercises kids can review colors, shapes, and letters and learn new skills like addition, subtraction, and vowel sounds. This workbook series prevents summer learning loss and paves the way to a successful new school year. And this is no average workbook—Summer Bridge Activities keeps the fun and the sun in summer break! Designed to prevent a summer learning gap and keep kids mentally and physically active, the hands-on exercises can be done anywhere. These standards-based activities help kids set goals, develop character, practice fitness, and explore the outdoors. With 12 weeks of creative learning, Summer Bridge Activities keeps skills sharp all summer long!